An 80 year old man whose life was saved by a defibrillator and a bystander passing by during a serious cardiac arrest at Cardiff Central Station has thanked the charity Welsh Hearts on their third birthday with a donation to purchase another device to get more of the life-saving machines into public places in Wales. Frank Brock, who lives in Rumney in Cardiff, was picking up a friend at the busy railway station in February 2016 when he suffered a cardiac arrest and his heart stopped beating. 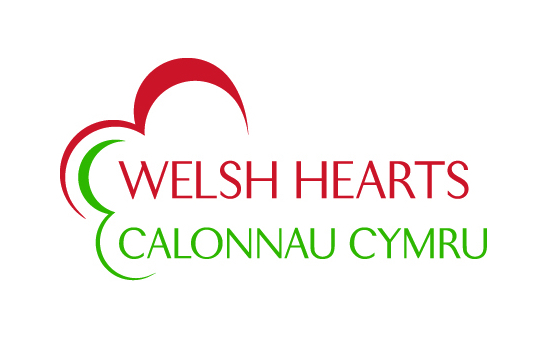 The charity Welsh Hearts offer FREE CPR and Defibrillator training regularly to the public. A Defibrillator/AED can be used by any member of the public as the machine talks you through the process. The bystander turned out to be Dr O’Callaghan, a cardiologist who was picking up tickets at the station and jumped out of his car to perform CPR and use the defibrillator to restart Mr Brock’s heart. Mr Brock hopes that sharing his experience will help to raise awareness of the importance of public defibrillators in schools and communities and encourage more people to support Welsh Hearts, the Welsh charity dedicated to the cause, which is celebrating its third birthday this month. He has also made a large donation to the charity so it can invest in more defibrillators. Sharon Owen founder and director of Welsh Hearts, said: “Every second counts if you are in cardiac arrest. There are 8,000 sudden cardiac arrests outside of hospitals every year in Wales and the survival rate is just three percent, when an AED defibrillator and good effective CPR is carried out the survival rate increases to 50 percent. That’s why we are trying to get as many defibrillators into public places in Wales as we can, so that people can act fast and save lives. We are so grateful to Mr Brock for thinking of us and making his donation, which means that another defibrillator can be bought and made available to the public and other lives can be saved! Dr Callaghan, cardiologist at University Hospital of Wales said “This is the first time I have ever performed CPR on someone as a bystander but I must thank the other bystanders who helped in this situation and to the station for having the life-saving defibrillator on site. “I can honestly say every second counts and I was at the right place at the right time, but anyone with basic CPR training would have had the same results as me. I urge everyone to sign on to a CPR course as you never know when you need it. Welsh Hearts was founded in 2013 and has been focusing on placing defibrillators in communities and schools throughout Wales, as well as offering free CPR training sessions and heart screening sessions to the public. In just 3 years Welsh Hearts has trained over 13,500 people in CPR and placed 457 defibrillators across communities in Wales. 692 people have been screened to detect any heart abnormalities and at least 50 people have been referred for further investigations some conditions detected being hole in the heart and cardiomyopathy.